Don’t pay $1352 Now only $898! This Westinghouse PDR790S Wall Oven is a factory second appliance. PDR790S is a superceded model, replaced in stores by WVE626S which sells for $1352. Even though its new, because this is the previous model, we can offer it for the best price on the North Shore. 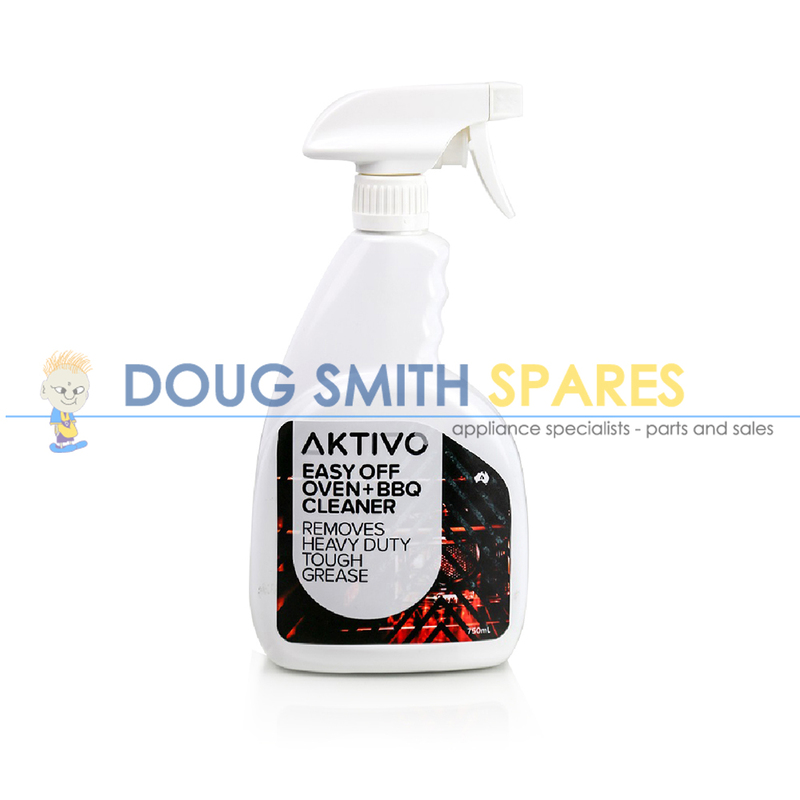 It comes with a 12 month factory warranty, from Electrolux which starts the day you buy it. 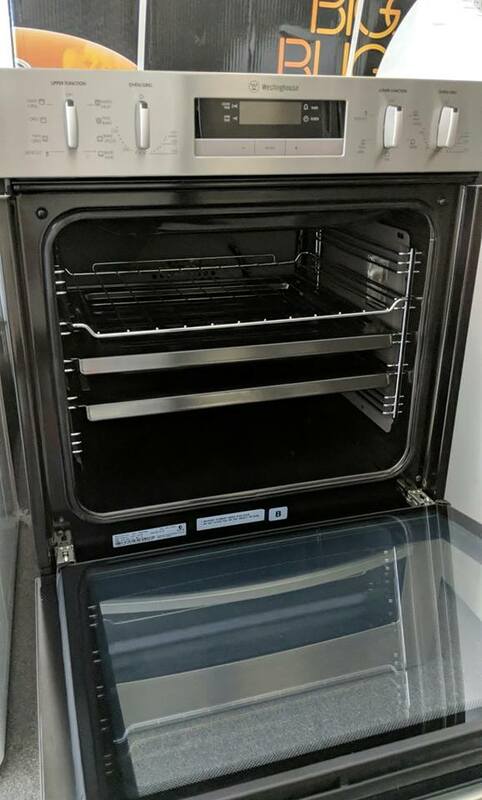 The Oven is complete, and unused. All the shelves are still packed inside. There is a slight kink in the metal on the grill door, but we couldn’t make it show up in photos. You don’t get a box, but you do get a huge Discount!! This is a large double oven boasting an impressive 126 litres of gross capacity. Like all Westinghouse BOSS ovens, this duo electric oven has low heat emissions and is extremely quiet. 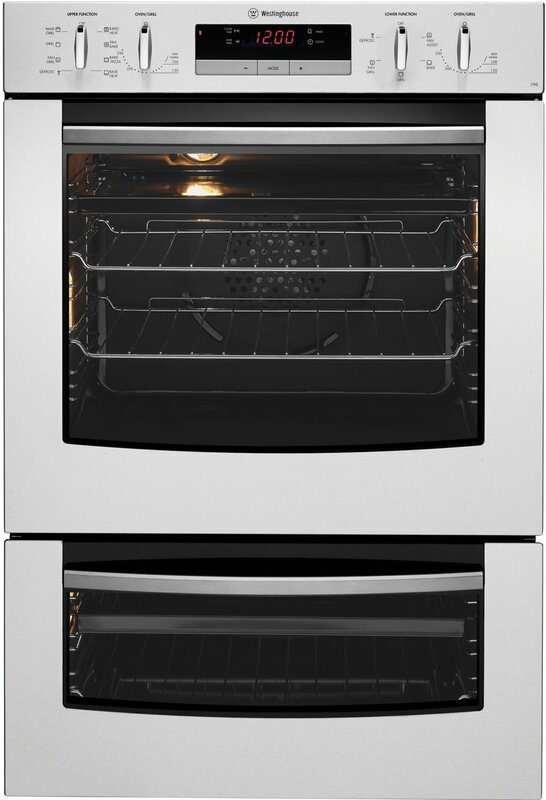 Energy efficient and easy to clean, this oven is an excellent choice for a large household. Having two separate oven cavities is extremely useful, particularly if you like hosting dinner parties. The second oven has 46 liters of gross capacity and can be used as a grill. This means you can cook two different dishes at once without mixing cooking flavours or aromas. You could also warm your plates in the lower oven while cooking your dinner in the top oven. The exterior is finished in a fingerprint-resistant stainless steel and features touch clock controls in glass. And you will love the 24-hour programmable timer which makes it possible to set the start and end times for your cooking in advance. This lets you set the oven to start cooking while you’re busy setting the table and welcoming your guests. 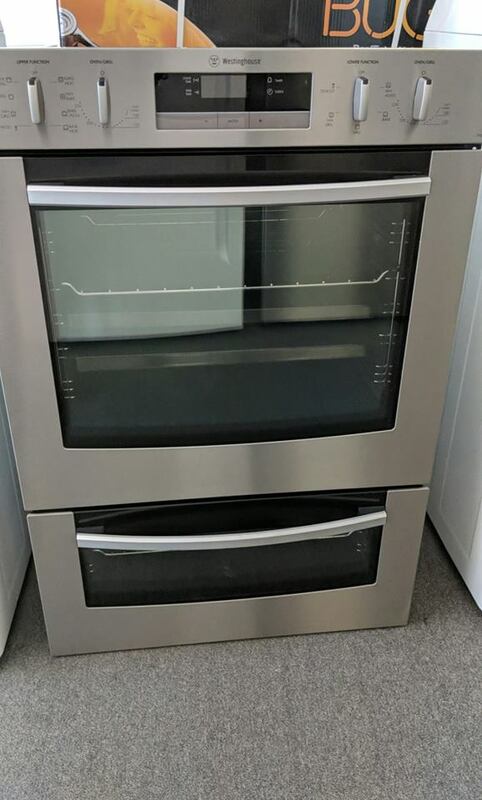 PDR790S Westinghouse Stainless Steel Duo Oven features Boss Oven, Triple Glazed Door, Easy Cleaning, Catalytic Liners, Cooking Versatility and Programmable Timer. BOSS OVEN: The PDR790S features a Westinghouse BOSS oven with a huge 80 litre gross capacity. The BOSS system is extremely quiet and has low heat emissions. All Westinghouse BOSS models feature A-Class energy efficiency to the European standard. TRIPLE GLAZED DOOR: The triple glazing makes for a much cooler exterior oven door temperature, the full width inner door means better oven seals and temperature control as well as effortless cleaning. 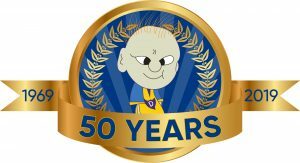 COOL AND QUIET: The Westinghouse BOSS range of ovens have been designed to be ultra quiet and emit less external heat for a more comfortable kitchen environment. CATALYTIC LINERS: Self-cleaning liners for the rear and oven sides, they are coated with a blend of oxides which absorb fats and oils given off in the cooking process. Once absorbed the fats are vapourised using heat. COOKING VERSATILITY: The PDR790S features a multi-function oven, meaning it is easy to cater for any cooking need. 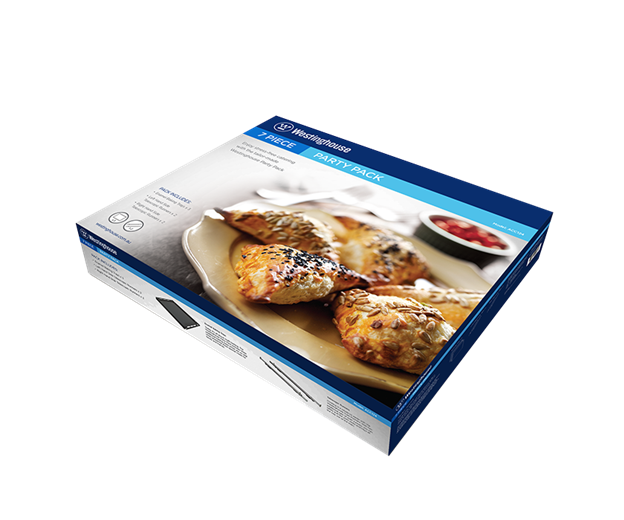 Includes 8 cooking functions in the main oven and 5 functions for grill cooking. PROGRAMMABLE TIMER: The 24hr programmable timer in the PDR790S gives the ability to plan your start and finish cooking time to the minute.